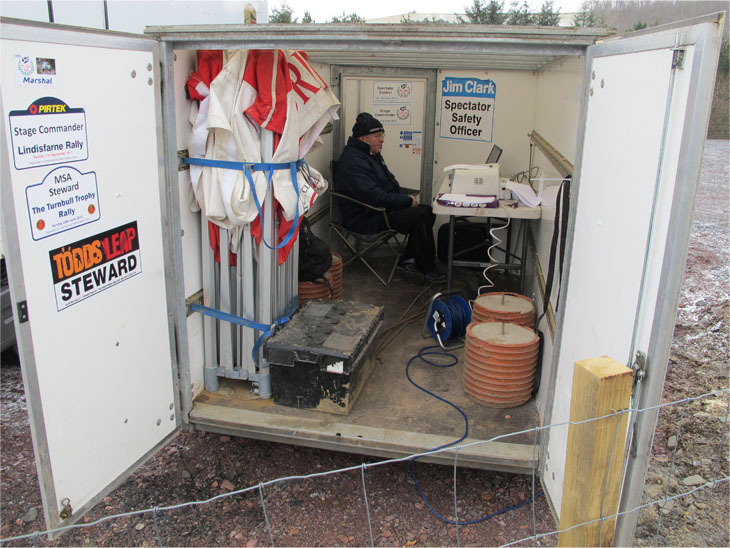 Just to put you in the picture, this is the on-event mobile rally results service at first Service in Hawick. At least Neil is out of the biting wind, sitting inside his windowless box trailer with only the heat of an LCD panel to keep him warm! We'll bring you times from the rally as soon as possible.